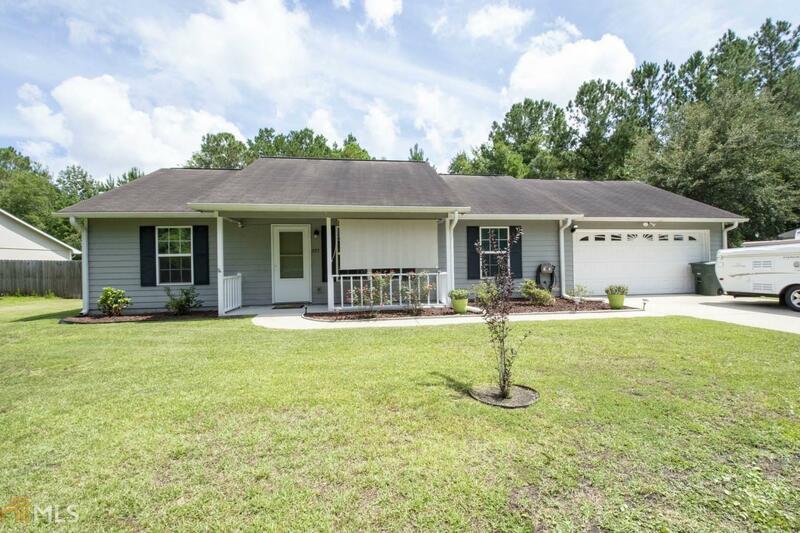 MOVE IN READY 3 BEDROOMS, 2 BATH HOME IN THE MEADOWS. CARPET IN THE BEDROOMS AND TILE FLOORING IN LIVING,KITCHEN,AND BATHS. GORGEOUS UPGRADED STAND UP SHOWER IN MASTER BATHROOM. GALLEY STYLE KITCHEN WITH FLAT TOP STOVE, BUILTIN MICROWAVE AND SIDE BY SIDE FRIDGE. INDOOR LAUNDRY ROOM WITH PANTRY AREA, 2 CAR GARAGE, .33 ACRE LOT WITH PRESERVE LOT IN FRONT OF A HOME AND BEHIND THE HOME!HUGE FENCED BACKYARD WITH SCREENED PORCH, AND COMPLETE WITH GRAPEFRUIT, LEMON AND LIME TREES. SECURITY SYSTEM ON DOORS AND WINDOWS STAYS WITH THE HOME (YOU WILL NEED YOUR OWN SIMPLY SAFE SERVICE). UPGRADED SECURITY LIGHTING AROUND THE HOME. EASY TO SHOW!